CN Design Blog: FREE PASSES! 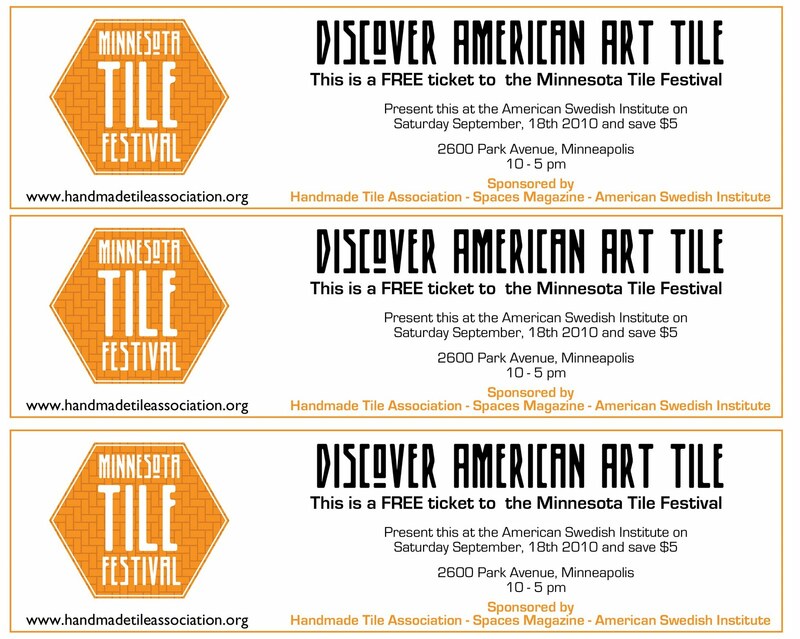 To the Minnesota Tile Festival on September 18th! FREE PASSES! 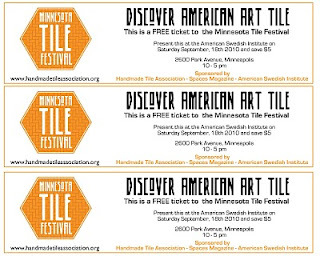 To the Minnesota Tile Festival on September 18th! Click to Enlarge & Print! 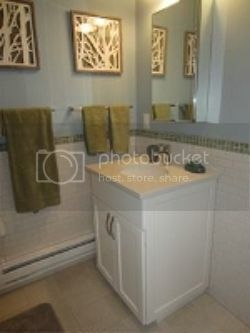 Bring your friends and family you will have a great time and see some amazing tile artwork have a Swedish meatball and to add to or start your tile collection or start one. Mosaic on a Stick workshop "New"